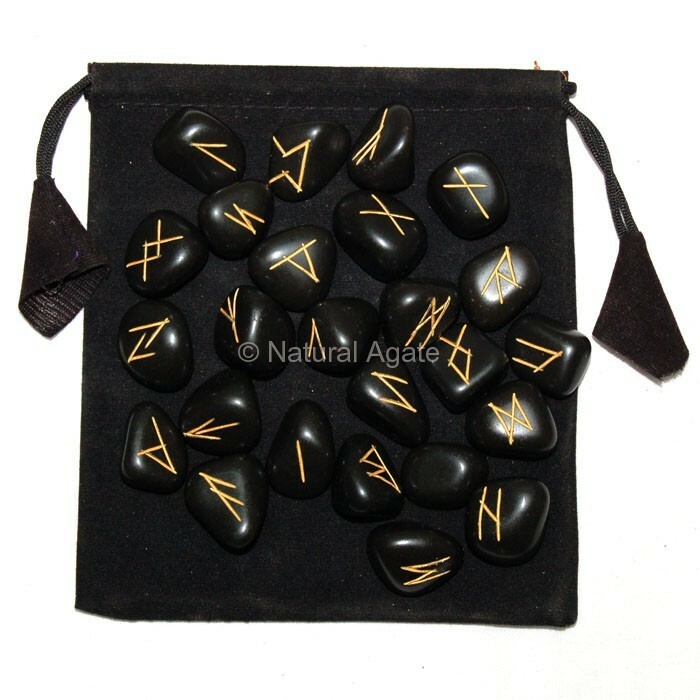 Black Agate Rune Set is a stunning collection of 25 well cut and polished black agate stones. Each stone has engraved, gold-printed rune alphabets. Based on your current situation, rune set answers you possible future. It will make a beautiful gift. You can avail it from Natural Agate.